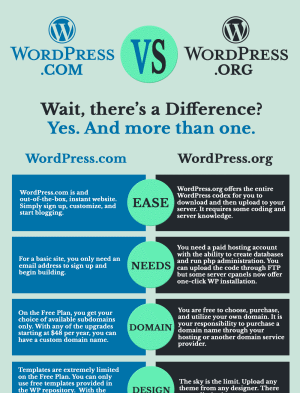 WordPress.com vs. WordPress.org – Which is Right for You? You might be thinking about starting a new website using WordPress, or migrating your existing website to this famous platform. You’ve heard about the SEO benefits and you know that plenty of major business brands take advantage of this amazing website backbone. But did you know there are two WordPress options? 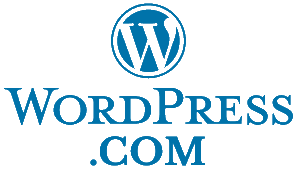 WordPress.com is the for-profit business owned by Automattic that uses the WordPress.org open source codex. WordPress.org offers the open source software managed by the non-profit WordPress Foundation. The two websites are officially separate entities, but are often confused because of the similar names and because Matt Mullenweg is the founder of both entities. WordPress.com: A user can easily sign up and begin customizing a basic website for a web presence in less than five minutes. There is no coding knowledge needed and it is completely free for the most basic of sites. 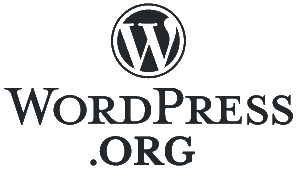 WordPress.org: The WordPress codex is open source software and is also completely free to use. Here is where you download the software which is then uploaded to your server. A user needs a hosting account or their own server, a domain name, and the ability to upload and configure the software. There are many factors affecting this decision and ultimately, that choice is yours. A quick overview is below. Or, click on the infographic to the right for a more detailed review. No budget, no coding experience: Use WordPress.com for now. You can upgrade to either a paid plan on WordPress.com or migrate to a website using the WordPress.org software later on down the road. A quick online presence for an individual: Either option will work to get you up and running in just a few minutes. Setting up a website with WordPress.org is as simple as clicking a mouse, choosing layouts, and adding your content. An online store: WordPress.org is your best option. Even with the highest tier of WordPress.com’s paid plans, there are limited capabilities for online stores and selling options. Building a brand and creating a unique online shopping experience truly requires customizations that are only available when you’re in control of the code. Large budgets: WordPress.org will provide you with limitless applications. If you have no coding experience but a large budget, hire a website developer to install, configure, and design your new website with the WordPress codex. Membership Sites: It depends on what you want your members to be able to do, but if it’s anything more than simply contributing articles, you will need to work with WordPress.org’s software. WordPress.com offers a free plan for a basic website with very limited features and design options. But they also offer three levels of paid plans. These plans cannot be broken down into monthly payments and the yearly fee must be paid upfront. WordPress.com Free Plan: Extremely limited in design and features. WordPress.com Personal Plan: Also extremely limited but a custom domain name is included and you can remove the branding for $48 per year. WordPress.com Premium Plan: Better design options with unlimited premium themes, more storage, the freedom to monetize, and add simple payment buttons for $96 per year. WordPress.com Business Plan: With this plan, you have the freedom to upload and work with any custom component, but you don’t have access to the straight code. This is an excellent choice for those who are determined to do it themselves without coding experience for $300 per year. WordPress.org is a great solution for keeping costs down and simultaneously creating a customized website. The layman can learn to set up a blog or website with WordPress.org easily as there exists a wealth of information and numerous guides online. The only necessary costs are that of a hosting provider, which is often less than the WordPress.com Personal Plan, and a domain name which is fairly inexpensive at an average of $15 per month total. Additional costs are incurred with expensive commercial themes, paid plugins, and developer expenses – but these are not always necessary. A subdomain doesn’t negatively affect SEO but isn’t considered as professional as your own unique domain name would be. With any of WordPress.com’s paid plans, you can pick a domain name through them and switch from your subdomain to your newly acquired domain name. If you already have a domain name, you can point it to your WordPress.com website. If you’ve decided to work with the WordPress codex and install it on your own server, it is your responsibility to acquire a domain name. Most hosting providers will provide domain name services. Many businesses keep their domain names and website hosting separate to avoid the loss of both properties in case of server devastation. WordPress.org’s downloadable software is open source and free – this means there is no formal support. There is no one to call or email or chat with if your website goes down or if you’re having problems making custom changes. There is only the community forum available. With any of WordPress.com’s paid plans, you are entitled to free email and live chat support. Is It Difficult to Install the WordPress.org Software? If it’s something you’ve never done before and you have no coding experience, this may seem like a daunting task. But the truth is that it is exceptionally easy and I have written guides to show you how to do it! And once you have it installed properly, your new website will have a WordPress dashboard that is easy for any layman to use. Purchase a hosting plan. Do your research to find out which is the best hosting provider with the best plans and rates for you. A great option is BlueHost. With BlueHost, there is no need to download the WordPress.org’s software. This hosting provider offers one-click installation. They also offer a free domain name. Procure a domain name. You can purchase one through your hosting provider or another domain service. It is more efficient to buy one through your hosting provider because then you will not have to deal with pointing your new domain to your hosting account or fiddle with nameservers. Your hosting company will automatically create a folder for you and point the domain to this folder. If your hosting provider offers one-click WordPress installation, you can do this now. They will install a database, the files, and connect them. Move on to the final step! If there is no option to install WordPress, you will need to visit WordPress.org and download the file in a zip format. Unzip this main file into a new folder on your hard drive. Create an FTP user in your hosting account. Find the instructions for doing so provided by your hosting company. Once the account is created, make sure to write down the host name, user name, password, and port. Create a database on your server. Find the instructions for doing so provided by your hosting company. You will also need to create a user for this database. Take note of the user name, the database name, and the password. It’s upload time! You can use a free FTP software solution such as Filezilla. Once you have the software downloaded, you need to connect to your site. You will need the information you took note of when setting up your FTP account on your hosting provider. Once connected, you can now transfer files to your root folder which is as simple and “dragging and dropping”. Take care here! It is important to transfer all of the files and folders into your root and not within another folder. Navigate to yourdomain.com/wp-admin/install.php. Follow the directions and input your database connection information, as well as other configuration details. You’re done! Visit yourdomain.com/wp-admin to explore the back end and begin customization. If you need more detailed help, feel free to contact me. Both options have their pros and cons and there are a myriad of factors to take into consideration. SEO: Using the WordPress.org software is the best option for SEO enhancement with upload freedom and the use of SEO-enhancing plugins. The WordPress.com plans have limited features in SEO, except for the Business Plan which will allow you to upload those same helpful plugins. Code Freedom: Only by downloading the WordPress.org do you have the freedom to manipulate the code. However, this should only be done by experienced developers. Take a look at our handy infographic for even more differences. Helping start blogs since 2002. Copyright © 2019. The Blog Starter. All rights reserved.